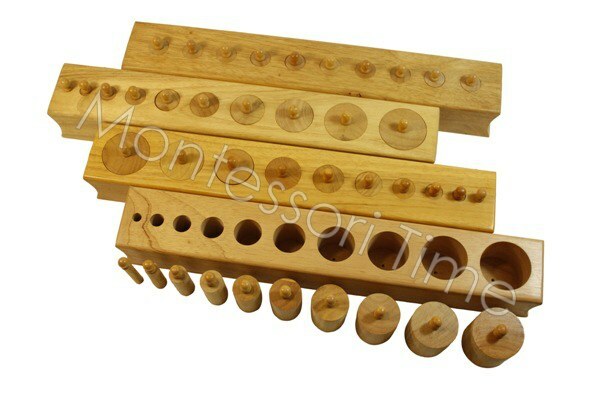 Description: The knobbed cylinders introduce the visual discrimination of size, they refine the child's perception of dimension and prepare for mathematics activities such as comparison, grading and seriation. The blocks provide a control of error and even a young child can use them successfully. The child initially works on one block at a time, later the sets are combined and the interrelationships in size are experienced.